*Still sorting photos. More photos to come shortly of cable routing, individual components and additional shots of the components installed. With the release of the new BitFenix Shogun chassis, MAXIMUS IX APEX Z270 motherboard and STRIX GTX 1080Ti; I was interested in doing a high end build that would offer a great overclocking experience, lots of airflow and cooling ability as well as a great and pay homage to the classic ROG "red & black" color scheme. I was also looking to go all SSD in this build and highlight that in an interesting way. The MAXIMUS IX APEX & Shogun fulfill this part of the build focus due to their design implementations regarding storage placement. Overall cost and component selection wise this is a premium / high end build where component prices are not necessarily the primary consideration. With that in mind, I was looking to have a sensible balance that compliments the needs & wants I had in mind for this build. In the end, this system is designed to look good, run fast and at high clock speeds while keeping the CPU temperature in check and acoustics low. Fast, Cool & Quiet all while looking good! Getting a sense of the look and feel this is first set off by the BitFenix Shogun. Large and in charge and black throughout with clean lines and beautiful tempered glass side panels. The side panels play a key role in allowing you see the storage as they take center stage via the vertical position SSD trays that feature AURA compatible RGB lighting. Being black internally and externally and not having any other colors present the Shogun easily allows for any color to contrast and compliment it. The MAXIMUS IX APEX was built first and foremost for overclocking along with a bold aesthetic due to its signature X pattern PCB shape and extensive multi-zone on board RGB lighting. Along with the lighting, the board similar to the Shogun has a monochromatic color scheme with black, silver, grey/gunmetal tones. It compliments the black and will allow the lighting throughout the system to create contrast and ambiance. Rounding out the three largest items is the graphics card, the STRIX GTX 1080Ti which perfectly compliments the APEX board and Shogun with similar color tones. It also features multiple zones of RGB lighting. There are no fixed colors on the motherboard, graphics card or the chassis. This gives the system a pure blackout aesthetic and allows a lot of flexibility in defining the color you want via the RGB lighting that if offered on the SSD tray, RGB LED strips, motherboard, and graphics card. Additionally, if you keep the native black cables as opposed to the Alchemy cables I put on the Whisper M PSU ( which are red ) it further maintains a color neutrality. Luckily if you want different colors BitFenix makes the Alchemy cables in a wide range so the choice is up to you. This system's contrasting color could easily be something other than red. Whether it be Blue, Green, Purple, Orange. Those wanting a blackout look could also simply disable lighting and go with none LED fans and non LED DIMMs and you would have a seriously clean "blackout build". That being noted I was looking to do the classic red & black aesthetic ROG is known, furthermore, it is a classic combination which generally always looks great and there are a lot of choices for accessories and components to compliment this build aesthetic. While not as many photos as my previous build I have documented many parts of the system individually and key aspects of the build at varying angles. As always hopefully this provides reference, insight, and inspiration for those interested in a similar build. The photos are generally in a sequenced order but the first initial set is curated to give a sense of what the system looks like all put together. As always with PCDIY there are a lot of ways to budget out your build and this is by no means an example of a sweet spot or price to performance. For more of an example in that respect check out my previous white themed build. This build was about enabling a specific look and feel and having an extremely high level of performance ( GPU, Storage, DRAM, CPU overclock etc ). Beyond the red and black aesthetic, I was hoping to have a lot of overclocking capability. This is of course always a bit of gamble as the silicon lottery determines what the maximum frequency of the CPU will be. That being noted the APEX is not needed for impressive Kaby Lake overclocking as you can easily accomplish similar results with the Z270-A or STRIX Z270-E. The APEX does offer an impressive VRM for outstanding stability even under aggressively overclocked loads. Furthermore, the topology has been optimized for ultra-high speed DDR4. Board topology is important in this respect and ROG boards set the benchmark when it comes to CPU and DRAM overclocking. I went with DDR4 3200 a solid upgrade from the base 2400 SPD but Blade DIMMS I used were able to reach 3600MHz through a little tuning. Once you get to this frequency you will begin to see a drop off with some CPUs memory controllers as well as drop-off if you are trying to aggressively OC the CPU and the RAM at the same time. At such this hits the right balance in offering me a considerably increased DRAM frequency to go along with my aggressive CPU overclock and not generally compromise on either. Finally, in relation to memory, the board only features two (2) DIMM slots but I do not see that as an issue as the design is in place to extend OC margin. Additionally, with larger densities being available you can still have 16GB or even 32GB 2 DIMM configurations. This works well for our build which is focus on general usage and gaming where you need about 4 to 8 GB of memory for gaming and the rest is for the OS and applications. In terms of overclocking, the results were great. I was able to reach 5GHz across all cores and of course used an adaptive vid to maximize efficiency and thermal performance under load. I am also doing some per core tuning and believe I will be able to settle in around 5.1 or 5.2GHz on 1 and 2 cores. This is great as I will be able to get even higher performance in lightly threaded games or workloads. I decided to go with the 7700K. 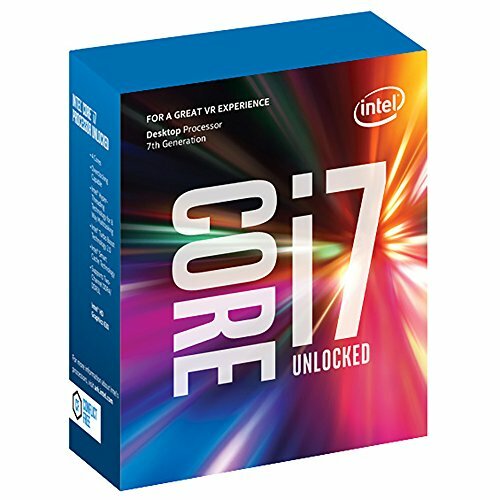 The 7700K is going to ensure outstanding performance regardless of whether the application is lightly threaded or multi-threaded. This generation additionally offers improved overclocking margin allowing you to reach higher frequencies. Finally, while not exclusive to the 7700K the options for how voltage can be defined are important as they affect (power consumption, heat output and overall voltage degradation). The current gen CPU's support three types of voltage control static (manual), offset & the most advanced type, adaptive. This is key as it allows voltage to only be applied to the turbo multipliers that are outside of the defined stock operating parameters. Furthermore, on this board there are special AVX offset options. This is great as it allows the multiplier to be reduced under AVX loads to maximize stability. At the end of the day IPC and frequency define performance and the 7700K offer outstanding performance at stock and it only gets better when overclocked! Thermaltake Water 3.0 Ultimate - A very solid and minimal ultra-high end closed loop water cooler. It offers more than enough thermal dissipation performance for the 7700K even when overclocked. It is a triple fan design supporting up to 3 120mm fans. This is something I wanted to have to ensure cool and quiet operation. I also like the minimal design aesthetic as I wanted it blend into the build. I was also looking for a completely flat pump head / block head. This was so I could use the included ROG sticker to further add a distinctive look to the cooler. Lastly due to the advanced fan control functionality on the board there is no need for integrated fan control splitters hub or additional fan control implementation. The only cable needed is for the pump which connects to the one of the headers on the board. This makes build process more straightforward and reduce the number of cables to manage and most importantly aligns with my focus on ensuring all fans are control from one place the motherboard ( whether it be within the UEFI or within windows it does not matter ). Installation is a straight forward process and not complicated the mounting hardware is par for the course when it comes to closed loop coolers. Installation is easy within the chassis due to the extra large CPU cutout on the Shogun. The included fans are great and would have worked without issue in regards to cooling but I was looking to keep a specific look and feel. As such I replaced the fans ( all three with BitFenix Spectre Xtreme red LED 120mm fans ). There are a lot of great choices out there, especially when it comes to ASUS boards. As such it made it difficult to settle on the board especially considering the monochrome color is easily fulfilled by all STRIX and ROG series motherboards. Next up came considerations for overclocking. Again, this did did not define the selection due to the fact the OC experience is great across all ASUS Z270 series motherboards. Even when looking at the entry side of STRIX motherboards, like the STRIX Z270-E you can have a great OC experience. The main difference plays out in overall board design, onboard connectivity and specialized features & functions. Touching on board design the power delivery of the board here there is a clear difference not only in the power ratings but the thermal performance for the VRM. ROG boards like the APEX offer VRM components like inductors, power stages and capacitors that have higher performance ratings whether it be in the output power, efficiency or thermal performance under load. This is like being a larger heatsink it may not directly mean you get more overclocking headroom but as a whole the CPU will run cooler. In place of this on the motherboard the VRM will operate at a lower temperature, with better efficiency and overall better performance. The one area where the APEX really shines in OC is some additional special UEFI tuning parameters which are on ROG series boards along with it’s 2 DIMM design. Normally this would be seen a limitation but for me it was ok as it still allowed for either 16GB or 32GB of total system memory. On the upside, the memory topology has been optimized for higher DRAM frequencies which are easier to achieve under 2 DIMMS. While I did not go with ultra-high frequency DIMMS I did want to try and find a sweet spot of going to an aggressive DRAM frequency (meaning between 3200 to 3600). This is also generally where the IMC tends to start to drop off and there are more issues aggressively overclocking the CPU along with a high DRAM frequency. What ultimately defined the APEX though was its visual look. It has a distinctive X shaped PCB and extensive onboard RGB lighting zones that give the board an awesome look. It total it feaure 9 zones of lighting. Furthermore, it has a special vertical M.2 design which I wanted for improved thermal performance and cross airflow but also totally highlights the M.2 drives in a more visual way. Tie that in with the LED lighting built into the DIMM.2 add in card and the board really begins to not only offer a great OC experience but an outstanding aesthetic experience. Onboard RGB lighting - with an AURA RGB header for easy RGB LED strip connectivity and control. This board has 2 RGB headers and compliments the chassis as it supports AURA Sync (SSD tray). They are optimally placed on the APEX. One at the top of the board and another at the bottom. While I did select red LED fans & red LED RAM, the amount of RGB selection is extensive. With AURA sync it allows each induvial zone of the board to be defined with a specific color. You also have control uniquely of each RGB header and furthermore can sync colors across all devices (motherboard, graphics cards, led strips, SSD tray in the system). If you go with AURA support fans and DRAM that would also be able to be controlled and synced. Furthermore I plan to pair this with the ROG Claymore Keyboard and ROG Gladius II mouse which also offer sync with ASUS AURA. Auto Tuning – This is part of the 5 Way Optimization suite which comes with the motherboard. It is windows based utility which covers advanced fan calibration, fan profiling and control along with full real-time auto overclocking and much more. While software executed this is a combination of hardware, software / firmware. All adjustments occur in real-time and are directly programmed into the UEFI just as if you were to manually overclock via the UEFI / BIOS. It leverages the insights we gain during development of the boards and the platform and distill down an extensive level of manpower time to learn how to optimal tune a system . When going into 5 Way optimization you can select Auto Tuning, a real-time, CPU specific auto overclocking utility. You can define your target options like temperature, frequency or voltage. You can also define whether you want per core tuning for the highest all core OC possible. This along with extensive customization on how you can stress test the system really allows for an outstanding combination of ease of use, flexibility and overall functionality. It is really the easiest way to maximize the investment made in a high-end board along with unlocked CPU and XMP enabled memory as well as your CPU cooling solution and even your power supply. Each of these components influence your overclocking experience and the great thing is your results will be uniquely specific to your system. Stress test enthusiasts will also appreciate you can customize the stress test interval up to an hour between each increment as well as enable AVX instruction sets for the most aggressive stability testing and maximum heat generation. Unlike AVX offset, the temperature control mechanism isn’t limited solely to AVX workloads. Any application that generates sufficient heat to breach the user-defined temperature threshold will result in the operating frequency and voltage being lowered to the user-applied values. , this provides more flexibility than the AVX offset parameter and deals with some of its drawbacks. Getting into some of the specific onboard benefits, this board was built for users who want a lot of fans and high degree of control and flexibility when it comes to those fans. The MAXIMUS IX APEX offers outstanding fan controls and connectivity. With 3 chassis fan headers and 1 dedicated AIO power header you have all the connectivity you need for a standard high-performance cooling setup. There is also a water-cooling zone, which has on board headers for custom loops. It allows for water flow monitoring and temperature inlet / outlet monitoring. More impressive is all CPU & CHA fan headers can provide true DC & PWM output / control. This means they fully support 3 pin or 4 pin fans. Each header supports fan calibration and profiling to find out the exact operating curve of each connected fan. This allows you to easily control all your connected fans via calibrated profiles. Along with the calibrated profile you can quickly apply a range of presets. These range from silent operation to varying cooling levels. You can also of course go in and fully define custom fan curves including ramping speed. Where things get interesting is in the ability to have different temperature input sources that even include the GPU not just the CPU. This allows for extensive control in how each fan header and its connected fan respond. Traditionally fans respond only to CPU temperature. This does not make a lot of sense especially for intake fans. This is due to the CPU generally being cooler and under far less load than the GPU. You can now assign your front intake fans to respond to the GPU temp helping to draw more airflow in when needed. Ultimately this allows for targeted cooling response. Users of water-cooling solution or groups of fans will also appreciate the ability to have a PWM fan splitter cable connected to the CHA fan headers and output a PWM signal to a group of fans. This works great for front intakes or top mounted group fans due to the trend of wanting these fans to respond in unison. Overall if you want the best fan controls with the most flexibility & functionality Fan Xpert 4 has you covered. As for build quality, the board is great. The MAXIMUS IX APEX features a high-quality digital PWM and advanced VRM assembly that ensures stable, reliable and efficient operation whether you are stock or overclocked. Being that the board has a digital PWM for the CPU & MEMORY you can easily define all the operating parameters. This is great if you really want to dial in maximum efficiency for your defined operating parameters. For those that are looking for help when troubleshooting you will appreciate the onboard quick debug LEDS (for CPU, DRAM, GPU and BOOT DEVICE). There is also a dedicated MemOK button for easy trouble shooting of memory related issues. Users also looking to flash the UEFI (update the BIOS) have a lot of options. You can do it via Windows via AiSuite. You can do it within the UEFI directly, all you need is to connect an Ethernet cable to the LAN port and you can update the UEFI directly inside EZ FLASH 3; no downloading to a flash drives or uncompressing files. Finally, you have UEFI BIOS FLASH BACK. This allows you to flash the UEFI with no CPU, Memory or Graphics Card installed. Just connect the PSU and you are good to go. It will directly on a low-level update or recover a corrupted UEFI. Speaking of which the APEX has two UEFI chips built on board. Outside of the profiles you can have for each UEFI chip this allows for easy backup UEFI as well different custom UEFIs for different purposes. In terms of some other additional special functions it has the ROG EXT header which while not able to be used in this build allows you to use either the ROG Front Base or OC Panel accessories which are awesome for panel enthusiasts who like to tweak and tune fans settings, clock speeds and more directly from a hardware interface. Finally, you have an improved audio design or as called on ASUS ROG board SupremeFX audio design. For this generation, the audio codec is also upgraded to ROG exclusive Realtek S1220A which has been specially sourced and implemented by ASUS to offer further improved line level input and output. This is great for gamers who use analog headsets or analog microphones. This version of the 1220 offers even higher performance than the specially sourced general ALC 1220 used on standard ASUS Z270 boards. It has superior dB (signal to noise ratio performance). While it is a very solid audio implementation, I wanted very high-quality audio. As such I selected a discrete high-end sound card. In this respect the tonality, warmth, sound stage, detailing and overall amplification is superior and really will make great headphones shine. Whether you are gaming, watching movies or videos or listening to music it is a very worthwhile upgrade. I went with he Xonar Phoebus which I will detail later but for general availability go with he newer STRIX SOAR. Some of other quick plus points include - An Intel Gigabit NIC with packet priority software ( GameFirst ) as well as all the standard IO you would expect including USB 3.0, USB 3.1 both Type A and Type C.
RAM – I Went with Apacer, specifically their new blade line. These DIMMS looks awesome and have been binned for outstanding quality, reliability and overclocking. More importantly, these modules have solid profiles (SPD & XMP) to help ensure stability and reliability however you decided to operate them. You can get them in range of speeds. For a build like this I really think 3200 or 3600 is where you want to be. Look wise I thought they perfectly compliment the Shogun and motherboard and love that there is a little symmetry in that they are “blade” DIMMs and the chassis is Shogun. The RED LED light bar looks great and has a built in alternating effect. Storage – The goal was to have a native SSD array offering up enough room for the OS, games, day to day files. While also offering a really high level of performance when it came to all types of file types, installation of patches and games as well as really helping to align with the updates Microsoft has made with Intel for responsiveness inside the OS. First up is the APACER Z280, it has outstanding performance which is considerably faster than standard or RAIDED SSD's while also supporting NVMe. It also features the latest Phison firmware for optimized workload performance. For this build, of course it is about performance so there are two ways to go with the setup. One you can have for general storage and files you reference frequently. The other is your primary OS drive with key applications and games. For those looking for extreme speeds you can of course go the RAID route. To supplement this storage and have a larger long term but still fast and responsive storage as well as account for possible redundancy / backup I went with Apacers Panther AS330 SSDs. These come in either 480 or 960GB. You can could go with a RAID 1 mirroring the two and having a real-time backup of your general long-term storage volume. I also tend to image by OS occasionally to a backup drive so this works well. If you want to focus on capacity then of course you could have both as logical volumes. ROG also offers some nice benefits for your storage with supplemental software. You have ROG Ram Cache which allows you to improve your SSD performance by combining it with your system memory. This can also help to extend SSD lifespan. There is ROG Ram Disk if you want to have a volume of memory you allocate for persistent storage (based on memory). Lastly there is also cloning software which is nice for cloning / imaging drives from one to another. GPU – This is always a tough choice. I was looking for a card that offered up enough performance to be able to run any game out there and offer the flexibility of high refresh rate gaming at 1080 or focusing on fluid & responsive gaming with high quality settings at 2560x1440 as well as even look to 4K gaming. Finally, was ensuring a quality VR experience and having support for GSYNC. With all this in mind I settled on the STRIX GTX 1080Ti. 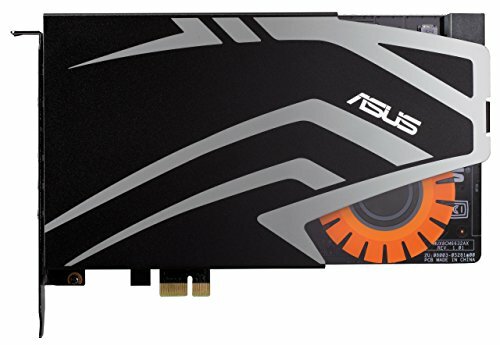 This may be the overall best graphics card ASUS has ever produced. The performance, design, temperatures and acoustics are all outstanding. First and foremost, it is a full non-reference design from the PCB to power components. Everything has been upgraded for superior performance, lower temperatures, and improved reliability. It has an upgrade power delivery design with 10 phases versus 7. Higher performing inductors and much higher quality power stages. The cards cooling design is truly impressive. It has a full die cast frame for rigidity. This also serves to combine with the heatsink assembly to help to cool the GPU, VRM & Memory. The heat pipe design is industry leading. 6 nickel plated heat pipes in a high fin density heatsink assembly with a brand new ultra-premium plate design. This new plate design performs even better than the previous direct contact design used on the GTX 1080 STRIX. It has been machined finished allowing for superior heat conduction and overall thermal efficiency / performance. On top of that it just looks awesome. Equally as important the fans all three of them feature a carefully tuned fan curve for cool and quiet operation. They feature IPX5 ratings and double sealed design to mitigate dust, debris and dander for affecting the internally bearing assembly. All this combined together with a binned OC GPU allowed for the card to having aggressive out of the box clock speeds easily exceeding that of the defined boost clock of the card. While performance is first and foremost important I also love the look of this card. It has a full metal backplate, monochrome design and three fully controllable LED lighting zones. One on the back. One on the side. One on the front of the card. Of course, it supports full ASUS AURA sync, and syncs with the lighting set up for the APEX board and any other connected AURA enabled items. In our system hat would be the two LED strips and the BitFenix SSD tray which has SSD lighting. Beyond all this, the card also packs in two awesome additions. One in that it has two fan headers allowing for more chassis fans to be easily connected. These can be set to respond to the CPU temperature or GPU temperature. There is also an AURA RGB header which is great for even more RGB connectivity to fans or LED strips or whatever additional items you might want. Finally, the card is built on the ASUS Auto Extreme production process. This means it is built fully via robotic assembly for the PCB and onboard component placement. This ensures superior accuracy and precision producing an outstanding card. Case - Went with BitFenix's Shogun. This is a new chassis in the higher end space that looks interesting, has lots of space to work in. I like the dual tempered glass panels and really like the flexibility of the internal design whether it is in being able to easy remove or add storage trays, GPU support brackets or an extension panel allowing for eATX support. It also of course brings aesthetics into play in that it is the first chassis I have seen that puts your storage front and center with a SSD tray lighting. These lighting trays are also fully AURA sync compatible meaning I can sync them with all the other items in the build (motherboard, graphics card and LED strips). Build quality overall is solid with a mix of aluminum, high quality plastic and steel for the internal frame. Internally and externally it is black throughout with the only color being the silver BitFenix logo. As for fans, you have all the key areas including dual front mount, read mount and top mount. I went with a total of 3 chassis fans (two front intake, one rear exhaust, three CPU fans up top with the CPU cooler). Overall it was a pleasure to work in. Storage is awesome with literally 5 SSD mounting points - Two in the front, one in the bottom bay and two more vertically present on the back. You also have multiple 5.25 bays that mount internally but can be added or moved by adding or removing thumbscrews to a vertical rail system. This is a nice touch and easy way to handle storage expansion should you need it. Cable routing is a breeze with the back cutout having a lot of room. The bottom bay having a lot of room and minimal visibility as it is blocked by the SSD tray. All the key cut outs have grommets. Not areas I would readily complain about. Mounting options are solid with support for front 120 or 140mm fans. Rear 120 fans and top 120 or 140mm fans. For airflow, there are a lot of venting points built in at the top and front panel. When opening the front panel, you have extensive venting built into to allow for additional airflow. For the rear of the chassis there is also extensive honeycomb venting present. For users looking for ease of use and cable routing, the Dukase V2 has you covered with a lot of well-placed openings to route cables including cable routing holes that are present within the PSU shroud. This makes cable management simpler and easier especially for the graphics card and the SSDs that can be mounted on the PSU shroud. Speaking of the shroud this is also a nice touch especially at this price point. One other nice touch is the extension system they have on hand for more bit fenix items like LED strips that can also be controlled from the chassis directly should you not want to link up with the board. These can be connected to the SSD tray or LED strips. They also make cable routing even easier. Fans - Here I tapped BitFenix again. I love their fans. They have a great look and perform great. They have a great mix of great airflow for general chassis fans but also have optimized static pressure design which is great for being used as CPU cooling fans. They integrate specialized frame for rigidity along with sound dampening. I also really appreciate the high quality FDB bearings. Overall, cool, quiet, and reliable. I would love to see them with a PWM version but as the board support DC output control this is not an issue. PSU - I went with another BitFenix product here, BitFenix’s Whisper 850M PSU. This is a brand new design just released by BitFenix. It is built on a new custom CWT platform. They look great and are fully modular and have a quality DC to DC design with good quality power topology and component quality. The Warranty is also great at 7 years. The included cables have improved filtering caps helping to improve performance for ripple and noise. The cables are flat and all black. Out of the box this is great as they go with everything and are easy to route as stack on each other for cable routing. For this build though I want to kick up a notch in regards to the aesthetics. One of the easiest way to do that is with individually sleeved cables. As such I went with BitFenix’s Alchemy series of custom sleeved cables in red. This further adds a bit of contrast to the black / monochrome throughout the components and maintain a pop of color consistently. Moving back to the PSU It has a large 135mm fan with a well-tuned curve. For me it is essentially silent especially under standard loads. The capacitors are all Japanese, this is always a welcomed addition they also are rated a bit higher than standard caps. The ones present are rated up to 105c while man others are closed to 85c or lower. Overall the Whisper hit a great balance of quality, performance and solid functionality. It will serve as a great foundation to ensure stable and reliable operation whether stock or overclocked. BitFenix Alchemy 2.0 red cables - These are great. They feature high current alloy terminal, good quality construction and ultra-dense sleeving. They feel great and look great. Also, the sleeving process is done without any heatshink. This is GREAT as it eliminates the chance of the pulling off the sleeves which I have seen happen. They also include some great rubber cable combs which are flexible and make things easy. They are also bend and hold shape nicely so you can really define the layout, form and feel that you want. A great easy way to bump up the look of your system. Finally, we also through in two BitFenix RGB magnetic LED strips. One connected to the motherboard and another to the graphics card. They are high quality, magnetic. They also use some nice quality LED's - TriBright™ LEDs offer far better color tones, glow brighter, last longer, and scatter light more evenly than conventional LED strips, and as a result cast very soft diffused shadows instead of hard shadows cast by narrow angle single LED modules. TriBright™ LEDs offer unmatched bright white light that illuminate all colors without giving your system a blue, yellow or even slight green tint like most cheap no-name LED strips. Lastly, I there in two BitFenix red SATA cables just to add that last color matching and the system is complete. Overall, I am very happy at how it all came together. it looks good, performs great and is cool and quiet. Nice build man , everything is matching perfect . Using the same motherboard for mine build right now . I don't like that mobo doesn't have IO shroud . Also could mot use NZXT Kranken because gets in the way of memory . Thanks! Best of luck on the build. Do not forget that the nameplate can also still be added for even a little more distinctive look. It is inside the box and mounts under the graphics card so still visible. That is interesting in relation to the Kraken. I will see if I have a chance to go back and check fit. I do remember being able to use the Kraken and the MAXIMUS. It required me to angle the DIMM in and it did directly press / squeeze up against it once installed. It is a great looking cooler but the cables and connection to the block are large and the secondary cable two other cables that need to be attached to it make it a bit of a more complicated install. Either which way best of luck on your build! Holly write up. Holly overclock. Holly parts quality. Holly crap this is nice. LOL, Awesome! This is getting my comment of the year so far! Thanks for the kudos and enthusiasm. Good job in all honesty, that CPU overclock is crazy. Thanks appreciate the kudos. Yeah, it is a pretty suite CPU. It is all about per core tuning and using an adaptive voltage also a few little UEFI tricks. On the lens flare, I prescribe the school of JJ Abrams. I am thinking of getting that gpu but I am wondering if it is too heavy for my mainboard. Did you use some additional VGA Holder? No, there is no need while there may be a small amount of sag the card has an internal brace design that helps protect it and reduce this. Additionally, depending on your motherboard the XYZ axis resistance against torsion may be improved ( any of the ASUS series with SafeSlot for instance ). LOL, TL;DR for those not interested in reading they can check out the pictures. Lol , too much for me to read . Nice build tho . Thanks! That is why I try to put in a lot of photos either which way there is a lot to look through or read. Thanks, appreciate it. Always try to provide context to the different items especially when it comes to functionality. Also KUDOS on Jerimiah Johnson. One of my favorite films!